To the naked eye, especially when flying into El Paso or standing on one of the mountains that majestically line these border communities, it is almost impossible to determine where one country stops and the other starts. Dee Margo, El Paso’s mayor, hosted 18 mayors recently and he put that question to them as they met atop an El Paso building. None of them could answer. [El Paso del Norte] is one of the world’s largest binational metropolitan areas and points to both the challenges and potential benefits of the close relationship between the two countries. Of course, when you are standing next to it, especially in downtown El Paso, the line of demarcation between the U.S. and Mexico is clear enough: fences, bridges, a culvert, and the river itself signal where one country starts and the other ends. As Mayor Margo said during a conference we participated in recently in El Paso, sovereign nations must protect their borders. Still, bonds of family, community, and history have transcended the border for generations – in fact, you could say they predate the border, since the city began as a trade and government center of the Spanish Empire over two hundred years before today’s U.S.-Mexico border was drawn. That point came through repeatedly during the U.S.-Mexico Border Summit sponsored by the El Paso-based Borderplex Alliance and SMU’s Mission Foods Texas-Mexico Center. Rick Francis, chairman of WestStar Bank in El Paso, told of often crossing the border as a boy for food, shopping, and other routine endeavors. 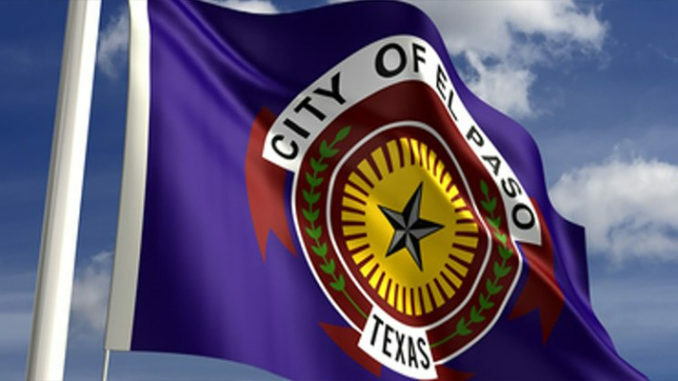 Mayor Margo echoed how people still go back and forth all the time, a point the Dallas Federal Reserve highlighted when it reported that Mexican shoppers account for approximately 10 to 15 percent of El Paso’s retail sales. And Roberto Rentería Manqueros, mayor pro-tem of Juárez, explained how he reminds his teenage son, who attends the prestigious New Mexico Military Institute, that he is not only bi-lingual but bi-cultural. Some of the nearly 25 million people who cross the border each year via personal automobile or by the footbridge that links the two downtowns are students commuting to the University of Texas at El Paso [UTEP]. Last fall, about 500 students traveled daily from Juárez to UTEP. In all, more than 1,000 students attended from Mexico, with most coming from the bordering state of Chihuahua. These human ties drive and are driven by the region’s embrace of trade, particularly the North American Free Trade Agreement (NAFTA). Everyone recognizes that their own path to prosperity, as well as their community’s path, depends upon goods and services regularly and easily crossing the border. This year alone the Dallas Federal Reserve Bank projects total trade in El Paso to be up 5.2 percent from a year earlier – a faster pace than the national economy. Trading relationships existed before NAFTA, but the treaty has impacted each side of the border. Take the expansion of maquiladora factories in Juarez. They specialize in manufacturing such products as auto parts, medical devices, and electronics. As a sign of their impact, employment in Juarez’s maquiladoras has grown 56 percent since 2010. These human ties drive and are driven by the region’s embrace of trade, particularly the North American Free Trade Agreement (NAFTA). Everyone recognizes that their own path to prosperity, as well as their community’s path, depends upon goods and services regularly and easily crossing the border. It is true that El Paso’s low-wage jobs took a hit as the maquilas grew, and you can see the effects in the empty buildings in downtown. But El Paso has rebounded and focused on how its residents could add value in certain areas, such as providing financial and business services for Juarez’s factories. And most of those empty buildings are now being renovated to make room for those white-collar jobs. According to UTEP’s Hunt Institute for Global Competitiveness, El Paso’s service sector increased its share of the city’s total employment from 53.8 percent in 1990 to 68.0 percent in 2014. And the Dallas Fed reports that a 10 percent hike in maquiladora output in Juarez leads to a 2.8 percent increase in nonfarm jobs in El Paso. The question is, will we be smart enough to modernize this trading pact and keep it as a force for economic growth? The conferees in El Paso wondered if the result of the ongoing negotiations would be NAFTA 2.0, or even NAFTA 1.5. 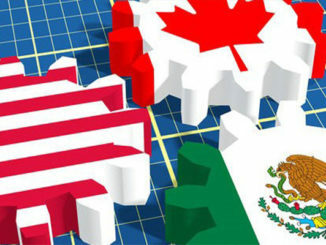 One commentator went so far as to speculate that the result looked set to be more like NAFTA 0.8 – a step back from market integration and a deliberate policy of raising the cost of cross-border trade. A few days after the conference, the U.S. and Mexico announced “agreement in principle” to increase the amount of North American content that an auto would have to include to qualify for duty-free access to the U.S. market. It is tempting to see this as a win for manufacturing employment, but it does tend to raise the cost of manufacturing in the U.S. and Mexico – and economics teaches us that, when you raise the cost of something, you get less of it. “If you want to learn about immigration, this is where you learn,” Margo Mayor said, and he has a point. Consider those 500 Juarez students who attended UTEP last fall. They acquired skills that could lead them to jobs in industries that allow them to work across borders. The same is true for many of UTEP’s 23,000 students. They are being equipped to work across nations and cultures, which is a selling point to companies that want to make their mark in the global economy. 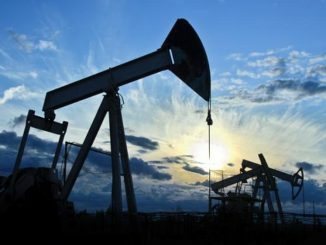 In the internet age, working across borders doesn’t necessarily mean moving across borders, although as Mexico’s economy becomes more sophisticated and its energy market continues to open, American engineers and managers may find opportunity south of the border. In any case, as one of the conference speakers pointed out, the labor markets of the two countries are tightly synchronized even without cross-border movement of workers. As a result, whether we are able to come to agreement on a reform of our immigration laws or not – and regardless of the outcome of the final NAFTA renegotiation – we would be well advised to keep in mind that wages and employment in Mexico are linked to wages and employment in the United States, whether we like it or not. To be sure, the Paso del Norte region faces challenges. To start with, the drug-related violence in Juárez, which had abated somewhat over the past five years, appears to have resumed this year, with over 350 homicides in June and July alone. El Paso, by contrast, is among the safest cities in the U.S., with just 17 homicides in 2016, a rate half the national average. Violent crime in El Paso is down by half since 2000 and remains on a downward trend. whether we are able to come to agreement on a reform of our immigration laws or not – and regardless of the outcome of the final NAFTA renegotiation – we would be well advised to keep in mind that wages and employment in Mexico are linked to wages and employment in the United States, whether we like it or not. A more subtle challenge to growth in the region is the differing federal, state, and local laws that may put off companies from creating jobs there, a point that the Hunt Institute is trying to address. “A market cannot function without a common regulatory framework,” explains Patrick Schaefer, executive director of the Hunt Institute. El Paso residents also trail peers in other metropolitan areas in education. In 2014, only 75 percent of El Paso adults 25 and older had at least a high school diploma. That figure, lower than the Texas average, portends trouble for a city where the poverty rate exceeds the national average. But as you visit El Paso, you see what former U.S. Ambassador to Mexico James Jones described. There is the U.S. There is Mexico. And there is the border. They work together. Both nations have plenty to learn from their shared border region, which offers numerous lessons about how an integrated regional economy can produce both prosperity and community. And when you have those, you have a future.